The Anza Borrego flowers are incredible. If conditions are good with the right around of rain and temperatures, the Anza Borrego desert blooms in a myriad of colors. That year conditions couldn't be any better. I couldn't believe how green the Anza Borrego desert was and then seeing patches of color and flowers everywhere. I was trying to shoot some of the fragrant sand verbenas and then came across these white evening primroses. I was hurrying to get some shots before sunrise but the fun part trying to compose a bouquet of flowers with the wind blowing. 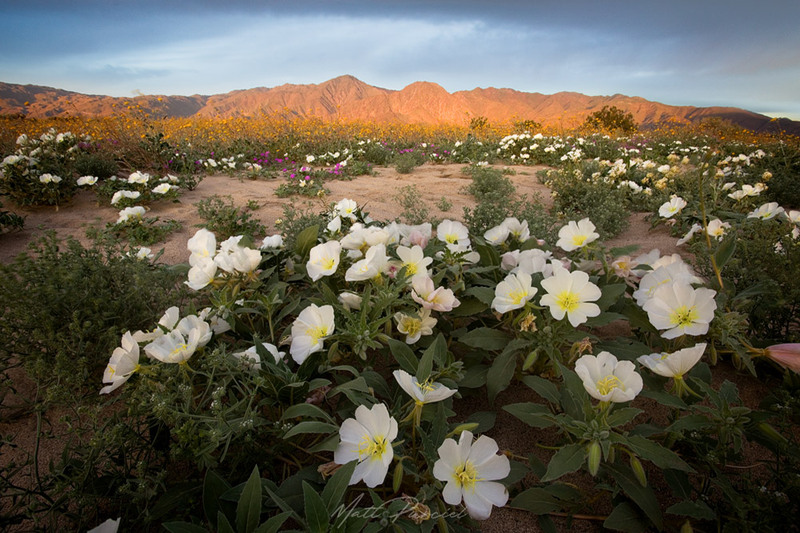 If you ever get a chance to see the Anza Borrego flowers in the spring it's well worth the experience.